There’s nothing we love more than a good challenge here at W.C. Branham. Usually, it’s our customers who challenge us to help them select or custom-create exactly the right component(s) for their application. Recently, however, we turned the tables on them. We challenged our customers to show us the innovative ways they're using our products in their own designs. Our Branham Challenge turned out to be even more fun — and impressive — than we expected. We asked customers to share unique solutions that featured any of our products — a caliper disc brake, some type of pneumatic actuator, a right angle gearbox, or even one of our custom-designed components. And the Winner is? Positech’s Articulated Jib Lifter. 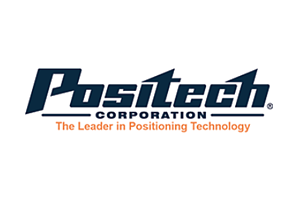 Positech designs and manufactures both standardized and custom-engineered positioning equipment for a wide variety of industrial applications. All of their products aim to facilitate more efficient production while increasing material handling safety. Read more about them in our Winner Announcement Page, along with more information on the Application Challenge. Often, items on a production line are too large, heavy, or just plain awkward for human operators to safely move them from one place to another. That’s where the articulated jib lifter comes in. It can be configured in different ways to solve specific industrial needs. To perfect their design for all configurations, the Positech team chose one of W.C. Branham’s Single Acting Cable Cylinder to power the second arm of the lifter with a built-in air balancer. The articulated jib lifter supports horizontal and vertical positioning. It can be mounted overhead on a trolley, pedestal, wall, or portable base. If overhead clearance is an issue, the second arm can be mounted above the primary arm. Using hand controls reminiscent of a high-tech video game, the operator can remotely lift, lower, tilt, pivot to level, spin, and/or rotate an item to transport it as needed. The remote control gives the operator excellent visibility during the entire process, allowing for precise movements. For some applications, the lifter is outfitted with pincer jaws. For others, it uses a powerful magnet to securely grip and lift the item being repositioned. The magnet is rated at a 150-pound load capacity but weighs less than 15 pounds, allowing positioning of payloads up to 135-140 pounds. Watch this video to see Positech's articulated jib lifter in action. As the winner of our Branham Challenge, the Positech team had a choice of prizes — either an Apple iPad Pro or a Microsoft Surface Laptop. We won’t reveal which they picked. And, frankly, it doesn’t matter because we’re all winners here. Seeing how customers are creatively using Branham products to design better industrial equipment helps our own designers and engineers think more outside the box, too. And that gives us an even sharper edge the next time a customer challenges us to find an inventive solution.